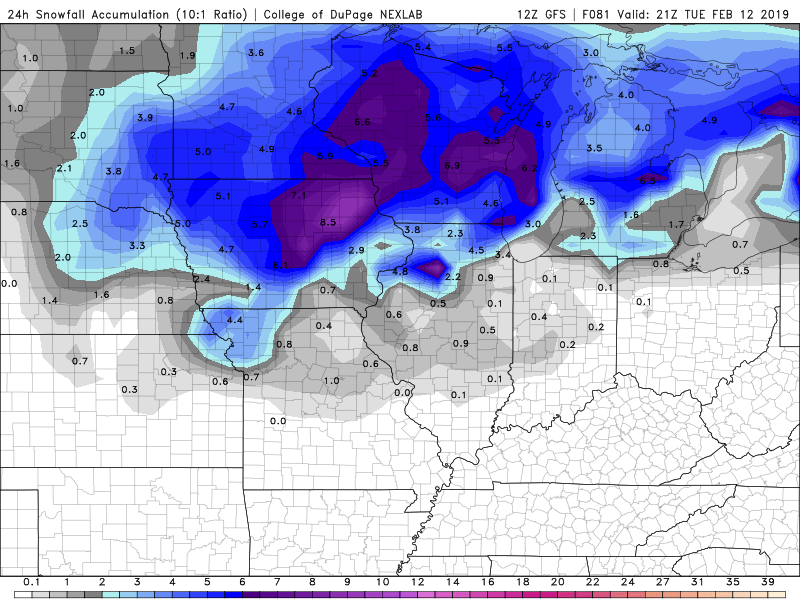 Winter Storm Monday Into Tuesday. 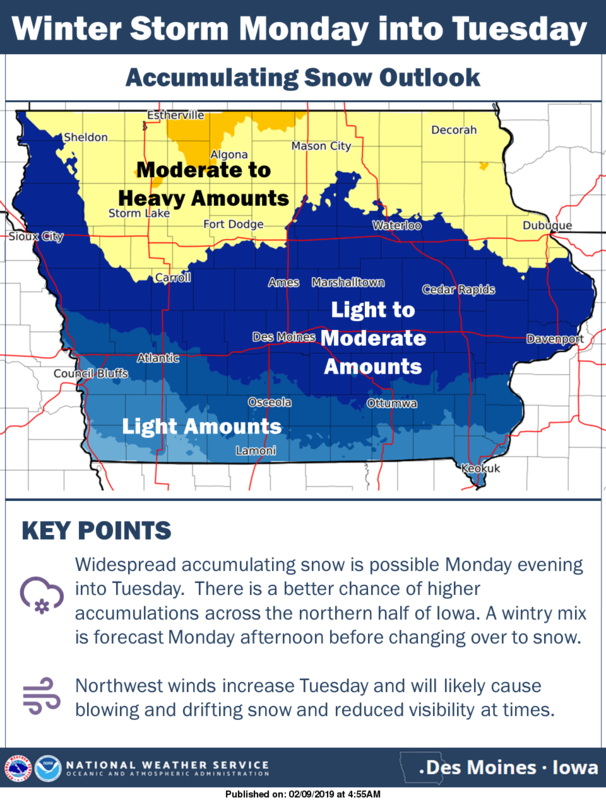 A winter storm continues to look likely across Iowa Monday into Tuesday. The precipitation looks to begin as a wintry mix during the daytime hours Monday before changing over to snow by late afternoon into the evening hours Monday. Expect this system to impact the evening commute Monday. The better chances of higher snow accumulations are expected to be over the northern half of the state. The snow is anticipated to continue into Tuesday when the blustery northwesterly winds develop. These winds are likely to cause blowing and drifting snow throughout the day Tuesday into Tuesday evening with reduced visibilities likely from the snow and blowing snow. Specific snow amounts remain uncertain at this time as the forecast track of the system could shift. At this time below is a map of the predicted snowfall totals. These could and most likely will change, so stay with Star 106 this weekend and early next week for the latest weather information.